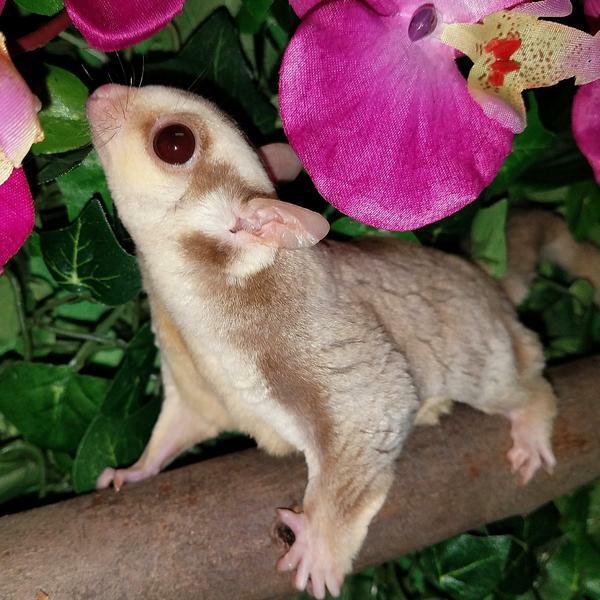 CREAMINO - cream colored body with tawny/tan/apricot markings where a wild type is black/brown, garnet eyes, a white glider with brown to red coloration on it’s body. LION - more Golden in color than that of a Classic. There is also a White Face Variety. 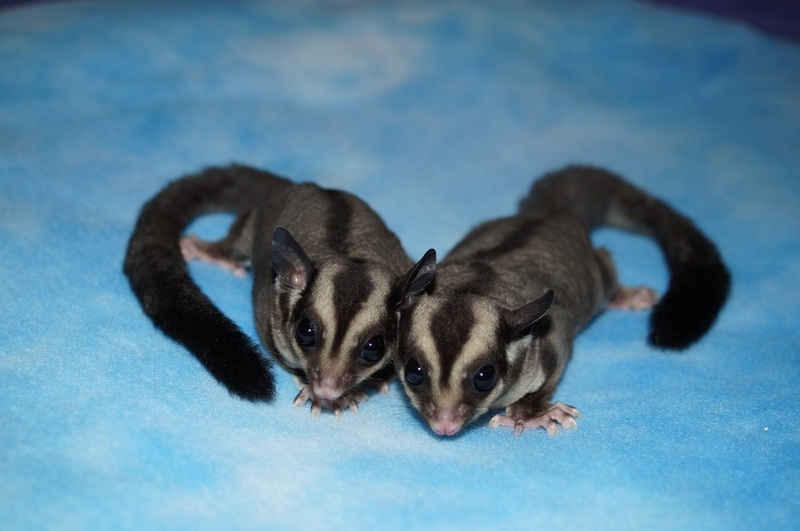 CARAMEL SUGAR GLIDERS - about 20% larger than traditional sugar gliders with a caramel colored body, white hands, and a cream face, Caramels are traditional Caramel color and varying shades of gray. 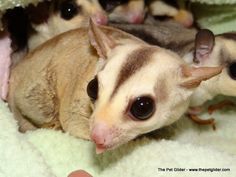 They have large ears, which makes them simply look larger. Mahogany Red White Face - Mahogany Red coloration, but have White Face as well. White Face (like the White Face Blonde) has mostly a white face, without a bar under their ears that is seen in most normals. Mosaics - any pattern broken up by white or another color. 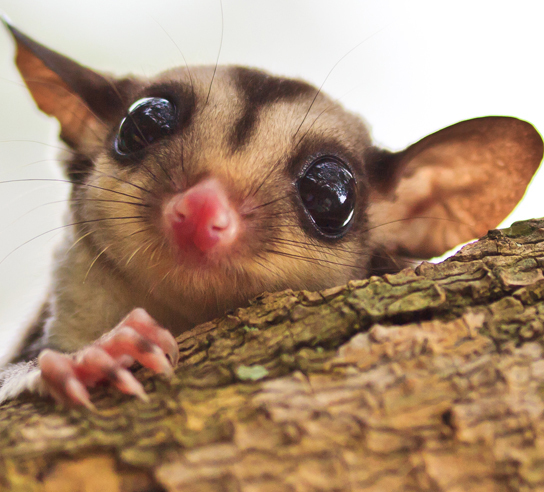 Creamino Mosaic - a sugar glider that is showing off two color types at once. Mahogany Red Mosaics - Mahogany Red Coloration, as well as being a Mosaic. Other varieties include Piebald, Marbled, Reverse Stripe, Ringtail and White, True Platinum Mosaic, Creme~ino Mosaic, as well as Mahogany Red Mosaic. Piebald Mosaics - variation of Mosaic in which there is a distinct pattern somewhere in the fur. Some have spots, or beauty marks, while others have symmetrical markings. Reverse Stripe Mosaic - any variety of Mosaic with a white line throughout the entire stripe in the back, or a partial stripe. 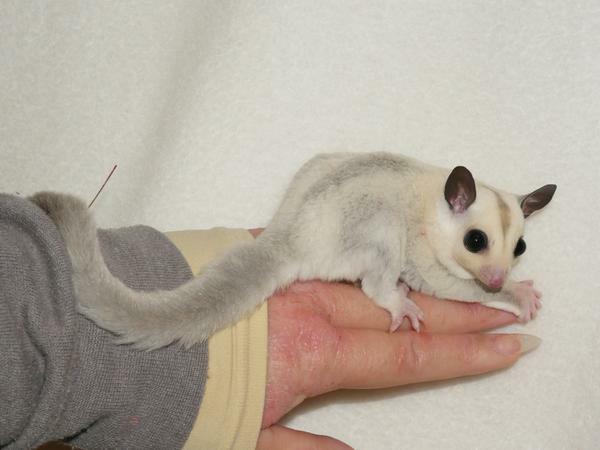 Normally the stripe is a darker color on any glider, but in this case there is white. Ringtail Mosaics - any pattern broken up by white, along with rings on the tail. Some rings are quite large, while others are more defined. 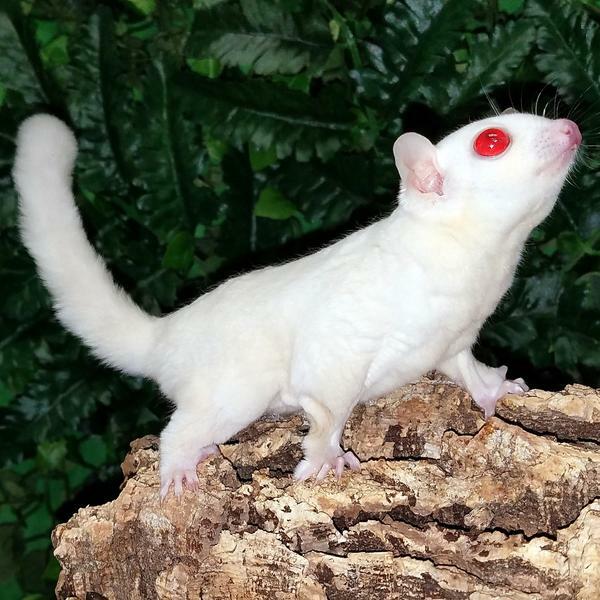 Ruby Leu - have a white coat like the Leucistic, with the red colored eyes of the Creme~ino. True Platinum Mosaics - displaying 2 color traits. 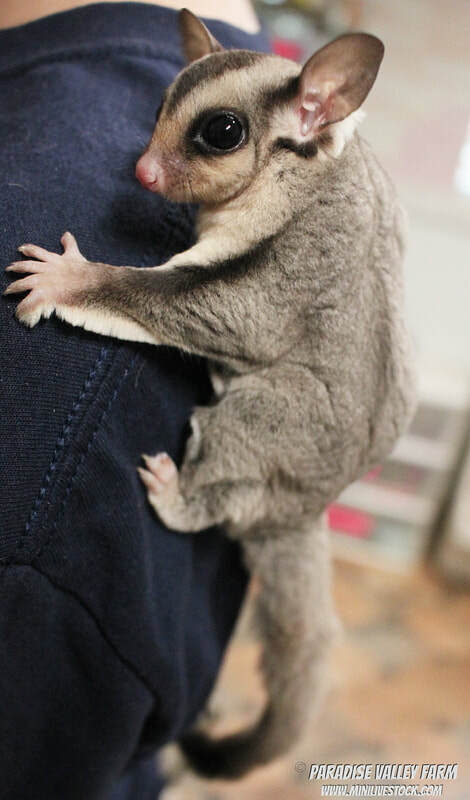 coloration can range from the light colored Silverbelles, to Red Platinum as well as Dark Platinum. White Face Blondes - similar to the Classic Gray, but without the bar under the ear. 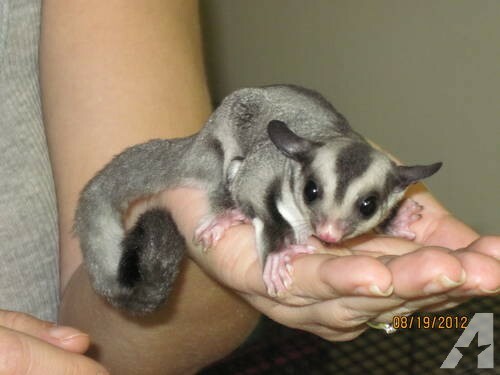 Fur is more light and silvery all over the body. 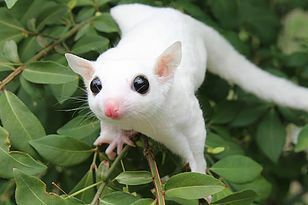 White Mosaic - has very little coloration on their body other than white. May have a few dark markings or even just a few very light gray markings, but not pure white like a Leucistic. Some even have little gray or black dots on their ears that breeders call “Cow Ears”.